Based on the 2008 police encounter in Delhi’s Batla House, this is an action thriller. 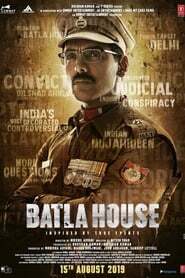 This film is based on the real-life incident of ‘Batla House Encounter’, officially known as Operation Batla House, to the silver screen. The incident took place on September 19, 2008, against Indian Mujahideen (IM) terrorists in Batla House locality in Jamia Nagar, Delhi.